Want to get the best forklift certification course? Here we are. We provide you with the best forklift training in Ottawa which will help you to know the correct and proper uses of equipment while operation. A forklift is a powerful tool that allows the movement and storage of product and materials efficiently and safely. This is very important to avoid the risks of forklift accidents and damages to products and properties thereby. He/she uses a forklift that is not safe due to malfunctioning or technical errors with its parts. It is thus very much important to get a forklift training Ottawa course so that you can run a forklift securely and safely. Applicable legislation and guidelines: In our training course, we will provide you with basic legislation and guideline to operate Forklift and how they are helpful not only for you but for your surroundings like passersby, roadside shops, environment, etc. Causes of accidents: Before going to operate any forklift you should know the major reasons for the accident so that you can keep yourself safe by avoiding all those mistakes. We will let you know each of them in detail and make you a professional. Operator responsibility: Being a drive you should have to know your responsibilities either towards your products and belongings or towards the people around you. We will make them clear to you and by knowing them you can proceed with your responsibilities and duties consciously. Types of trucks: There are different types of forklift trucks and accordingly their capacity of loading, maintenance, workability, etc differs from each other. 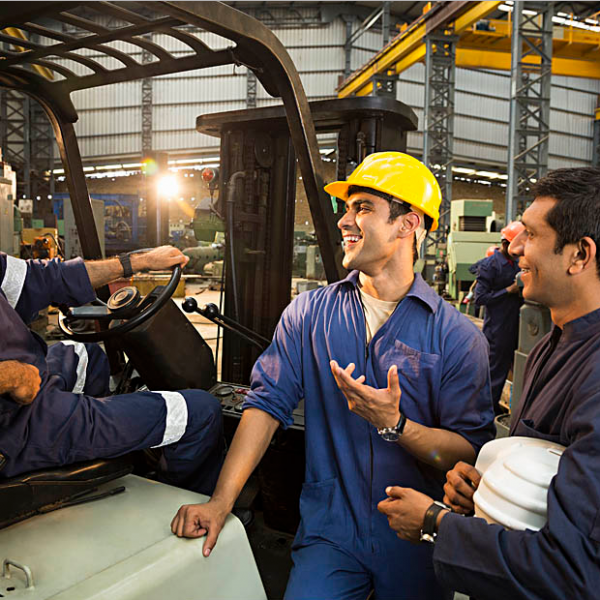 We define them in detail to you in our Forklift training Ottawa. Pre-shift inspection: It is very necessary to inspect your vehicle promptly before going to start operating it. Our technical expert professionals will make you understand each and every technical part related to the operation of the vehicle and make you understand how you can resolve their issues. Our courses offer detail about everything related to safe and secure forklift operations other than these above-mentioned topics. We will also help you with the practical experience of the topics covered through theoretical classes. If you want to be a professional then get our forklift Certification in Ottawa and gain all the knowledge relative to the topic.